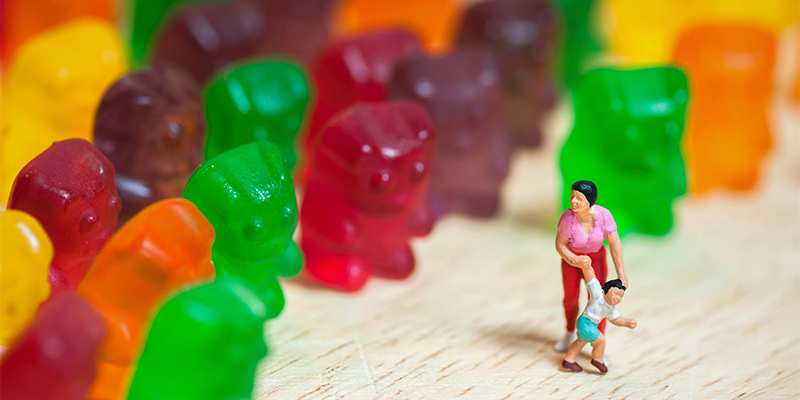 On October 1, new edibles regulations go into effect in Colorado with the aim of keeping edibles and other cannabis products away from children. In an effort to keep cannabis-infused products out of the hands of small children, Colorado has new edibles regulations going into place, which take effect on October 1. Mike Hartman, Executive Director of the Colorado Department of Revenue, said the regulations reflect extensive stakeholder input, which is focused on public safety and legislative intent. Marijuana products in shape and branding should not be enticing to children, and we want consumers to be educated about the potency of the products they are buying. These rules ensure that to be the case. So, from October 1, dispensaries will no longer be able to sell cannabis-infused edibles that are in the shape of a human, animal or fruit. That includes shapes that resemble or contain characteristics of a realistic or fictional human, animal or fruit, as well as artistic, caricature or cartoon renderings. But edibles made in geometric shapes, and are fruit flavored, will still be allowed. One local canna-business owner, Kevin Fisher, who actually helped shape some of the state’s first weed laws, said to The Aspen Times that the rule is not intended to keep cannabis out of the hands of kids who knowingly want to use it. The new regulation is intended to make the edibles less attractive to young children that don’t know what the products are. Fisher, the owner of Rocky Mountain Remedies, believes that many of the products that will be affected by the new rules have already been phased out. Along with the edibles not being able to be shaped like a human, animal or fruit, there is another rule taking effect, which relates to how potency is labeled on products. Now, products must be labeled either in a font size that is at least two font sizes larger than the surrounding label text, not less than 10 point font, and be bold and enclosed within an outlined shape such as a circle or square or highlighted with a bright color such as yellow. Although, any inventory with the old labels will still be able to be sold after October 1. It’s not just Colorado, either, as less than four months out from the January 1 date of legal weed in California, the state’s lawmakers are putting in place more laws that also includes the banning of edibles that resemble particular shapes of candy. The measure, which prohibits California companies from selling edibles that are produced in the shape of a person, animal, insect or fruit, was given final legislative approval and has been sent to Governor Jerry Brown for consideration.